That's not a bullfinch in the slightest. 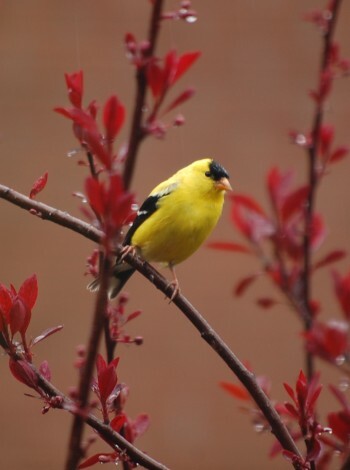 That's an American goldfinch. A review of the Eliminator squirrel-proof bird feeder may be expensive, but I found it was worth the money. It keeps those clever fluff-tailed little monkeys out, it keeps the seed dry and clean, and it lasts. Copyright © 2018 by Jennifer Priest. I write my own stuff, so you should too!